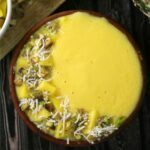 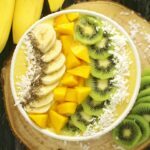 Melon Mango Smoothie Bowl - Frugal Mom Eh! 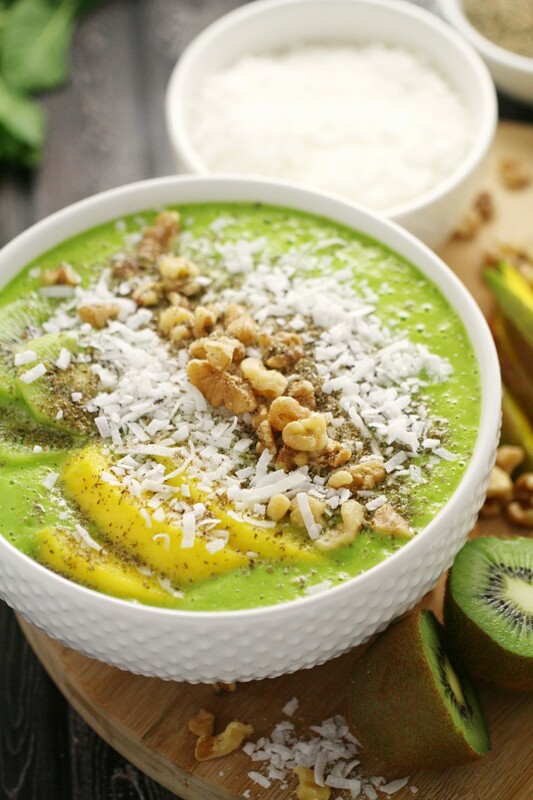 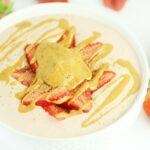 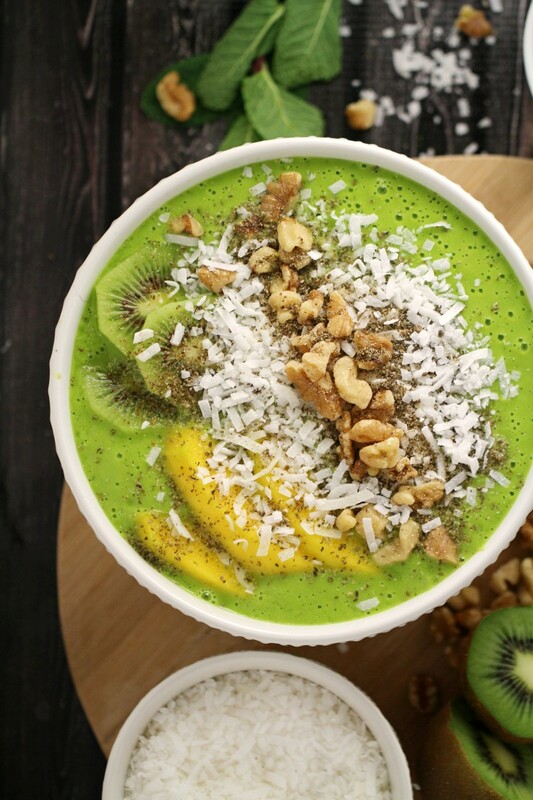 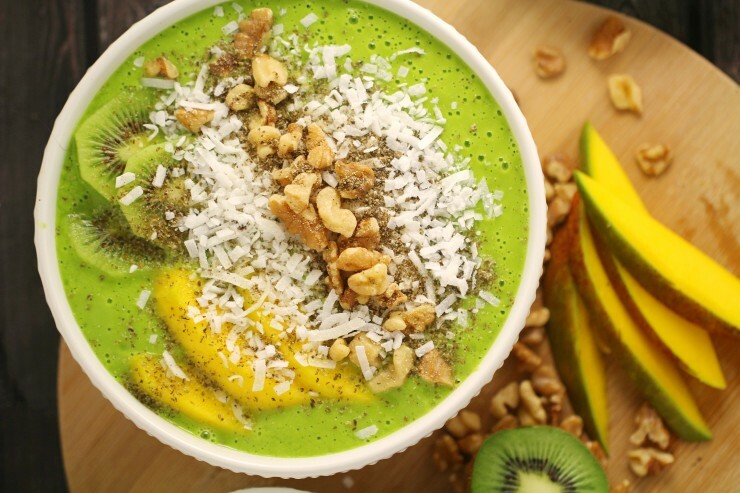 This pretty green smoothie bowl is packed with delicious, fresh ingredients that you will find come together nicely for a refreshing breakfast smoothie. 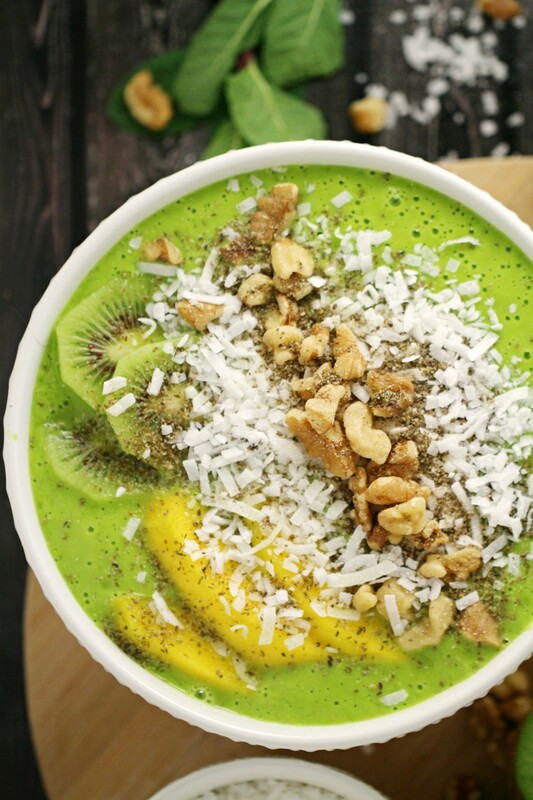 The addition of mint pairs well with the fresh fruit for a flavour your mouth won’t get bored of. 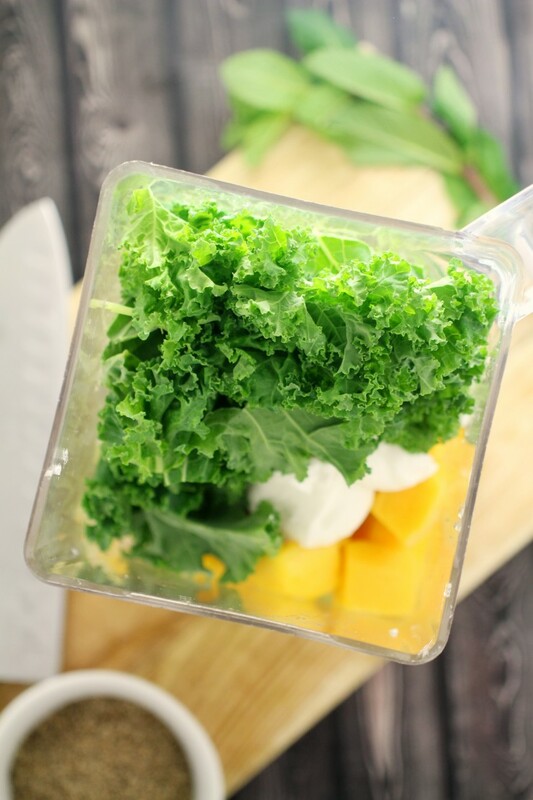 In a blender, combine yogurt, water, mango, kale, melon and mint until smooth. 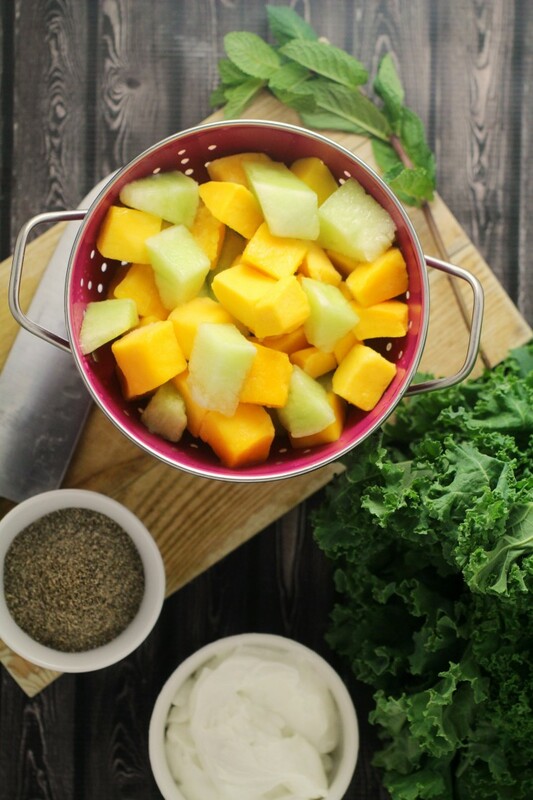 Add ice, one cube at a time, and blend until smooth until you reach your desired consistency. 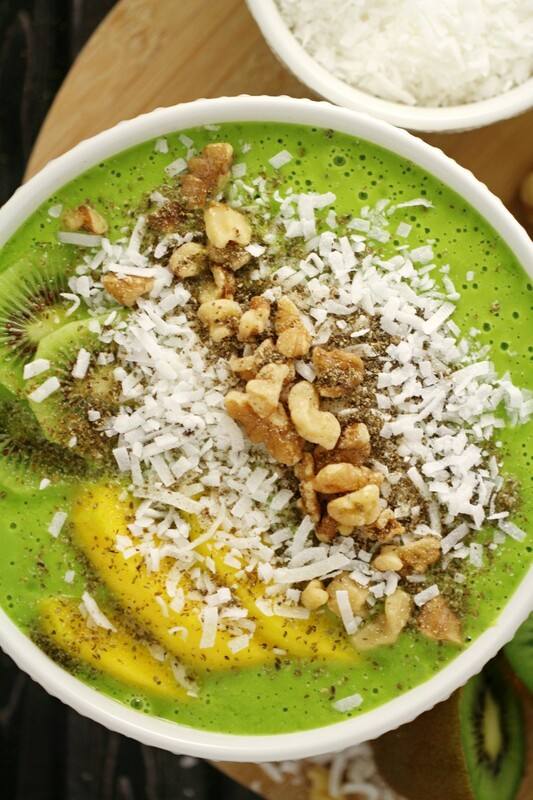 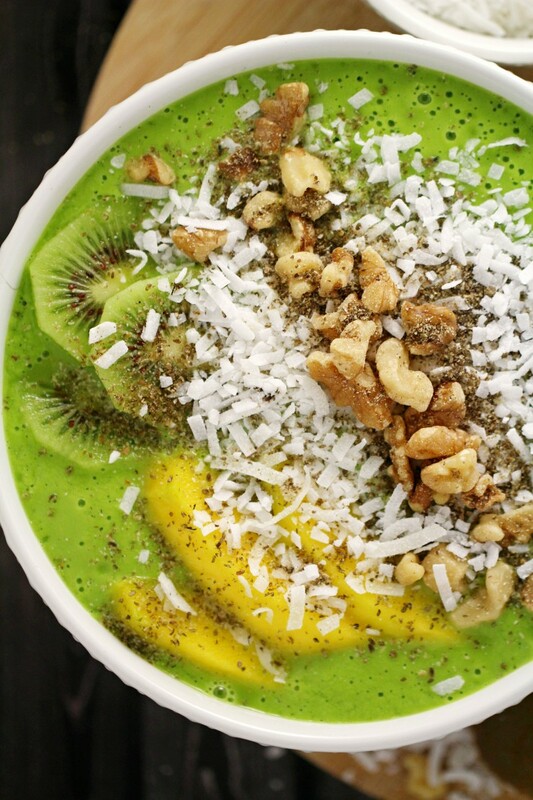 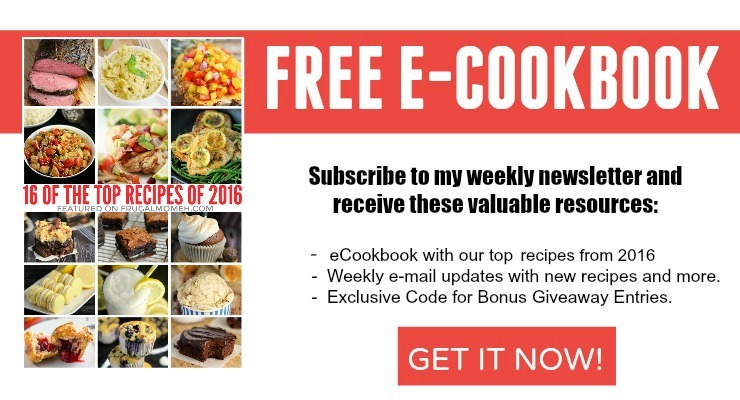 Pour the smoothie into a bowl and top with suggested toppings. 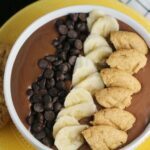 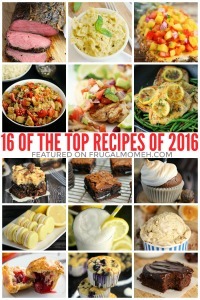 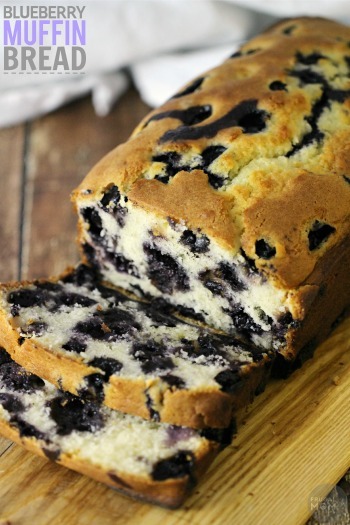 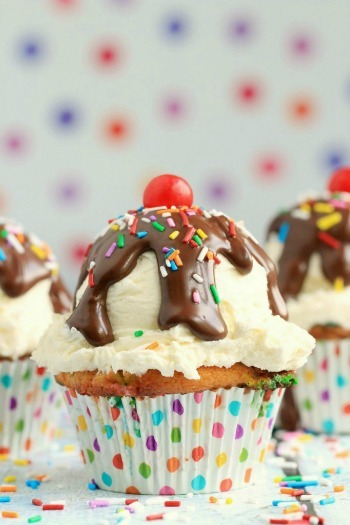 Oh my gosh, I am SO making this!